(MARINA) I woke up the other morning and looked on the kitchen table (where I usually eat breakfast) and found an oat crisp. I guess a little angel came from heaven and made it for me. I think her name was Bite Two. It has the best strawberry stuff inside and it was the best strawberry stuff you could ever eat. The juicy strawberry center was my favorite part of it. My dad loved it too. Make it for one of your family or friends and ask them what angel came to THEIR house! (KERI) Are you a morning person? 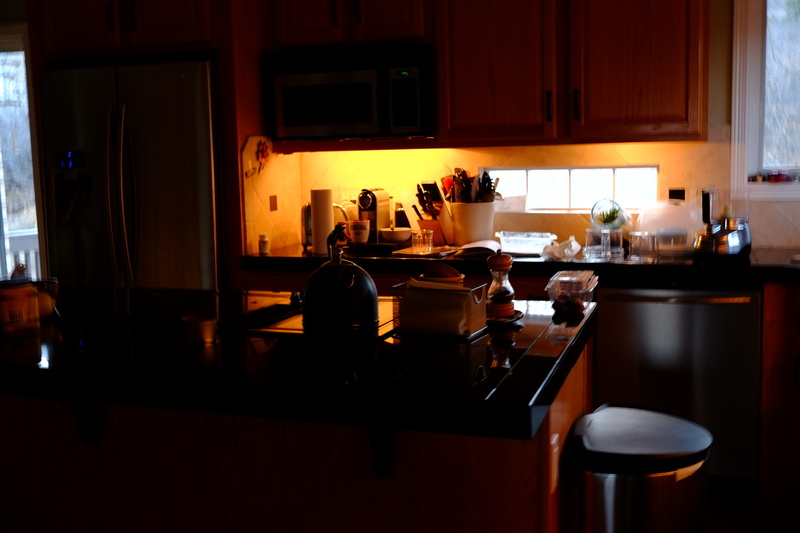 Morning – as in early – is my absolute favorite part of the day. Before the dawn breaks, before other Bites are chirping, I’m smiling at the pitch-darkness and the fresh start it represents. I’m up and downstairs on the treadmill or the WaterRower (what a beautiful piece of machinery), waking up with an hour-long, blood-pumping work out. This is the first step in a very gradual process that has become, over time, the ritual that brings me to the center, to the hub of mental balance. Not a creature but me is stirring. Just the belt of the treadmill or the whir of the rower. A clean slate. Every single day. It’s the purest pleasure known to anyone. Moms, I think you know what I’m talking about. Workout complete, it’s upstairs to a dimly lit kitchen to assemble lunches for everyone to tote to school or work, and to toss up a salad for Peanut Butter Paul. Who is THAT you ask? Why, it’s the long-haired guinea pig who only eats organic produce. Seriously. Then comes the most delicious, most anticipated 15 minutes of the entire morning: Breakfast. That cup of Nespresso is something I dream of, I kid you not. “Only one more mile, then I get coffee.” The tang of orange juice and a fat bowl of Special K Oats and Honey cereal topped with fresh blueberries is just….perfection. Why? Why is a foodie so obsessed with this nothing-homemade meal? I have no idea. Maybe it’s the carbs and a little sugar. But it’s ritual, Man. Ritual. As of late, I’ve become preoccupied with breakfast and brunch food. Not because I can afford to get up any earlier (4:45 a.m. is plenty early, thankyouverymuch) to produce an elaborate spread. And that’s precisely why I’ve decided I’ve contracted a case of the obsessions. It’s unexplored, new. We’ve posted the yummy baked banana walnut oatmeal from Megan Gordon. But, in her Whole-Grain Mornings, there’s a whole book of breakfast foods just screaming to be awakened. Next on our list was a delicious strawberry crisp. 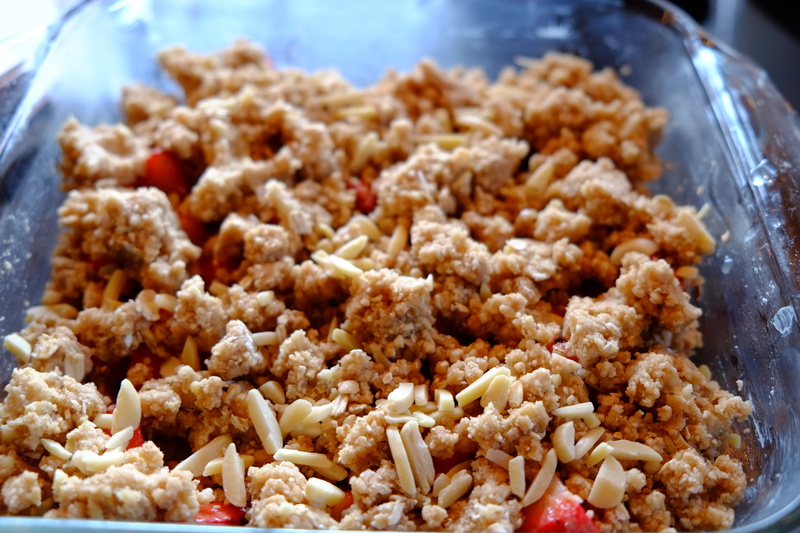 This a.m. cobbler is packed with healthy things – nuts, oats, strawberries – and it’s easy. The lovely topping comes together after a few whirls around the food processor. We love the addition of buttermilk and…smell those spices! The red, ripe berries get a bath of sugar and lemon (zest and juice). 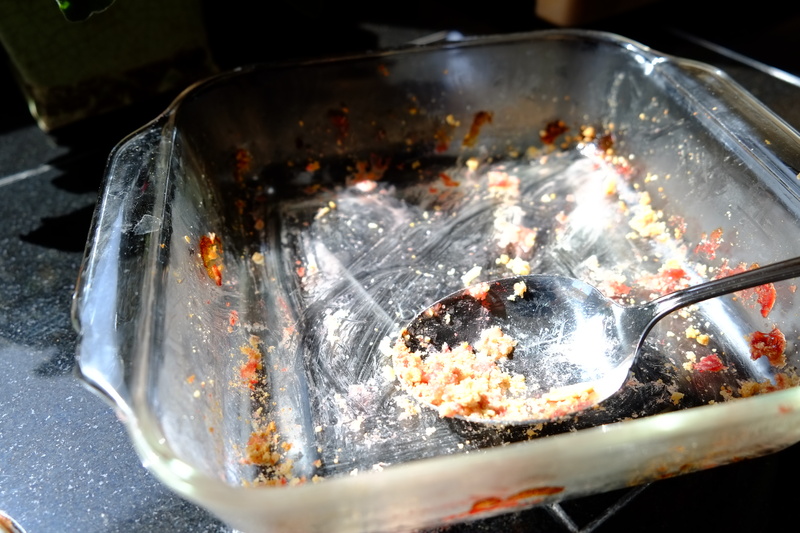 Spoon the strawberries into a baking dish then blanket them with chunks of oat topping. Bake until bubbly and wham. Here’s an important note: Let the crisp sit for 30-40 minutes before digging in. 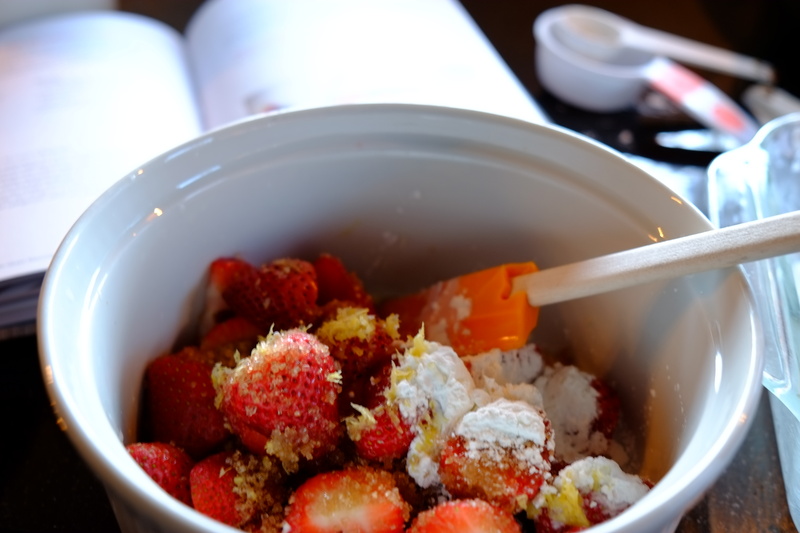 This act of patience will allow the berries to cool their jets and the topping to set into a crumbly bliss. And blop a dollop of Greek yogurt on each serving. You won’t be sorry you did. Hip, hip hooray for mornings! Yes, I’m that person who talks a lot in the morning while everyone else grunts. 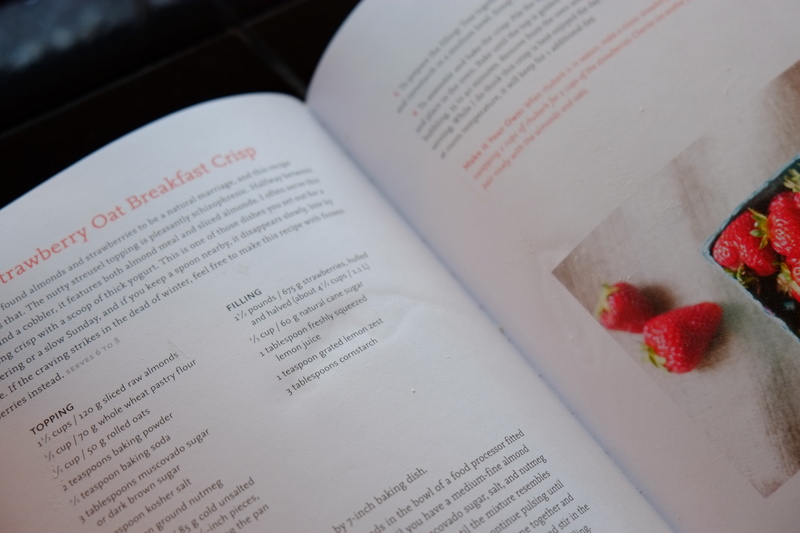 With food stuffs like this, there is no need for alarm clocks: The aroma of strawberry oat crisp will lift your Bites happily out of their slumber. Best yet: They’ll forget they’re suppose to be grumpy. Preheat oven to 375 degrees. Butter a 11 x 7 inch baking dish. For topping: Process 1 cup of the almonds in a food processor for 30 seconds until they are medium-fine meal. Add flours, oats, baking powder and soda, brown sugar, salt and nutmeg/cinnamon. Pulse a few times to combine. Add the butter, in pats, and pulse until the mixture is coarse meal, about 30-45 seconds. Add buttermilk and pulse again until all the liquid is absorbed and until the ingredients come together in a dough. Add remaining almonds and pulse 2-3 times just until combined. Refrigerate while you prepare the filling. 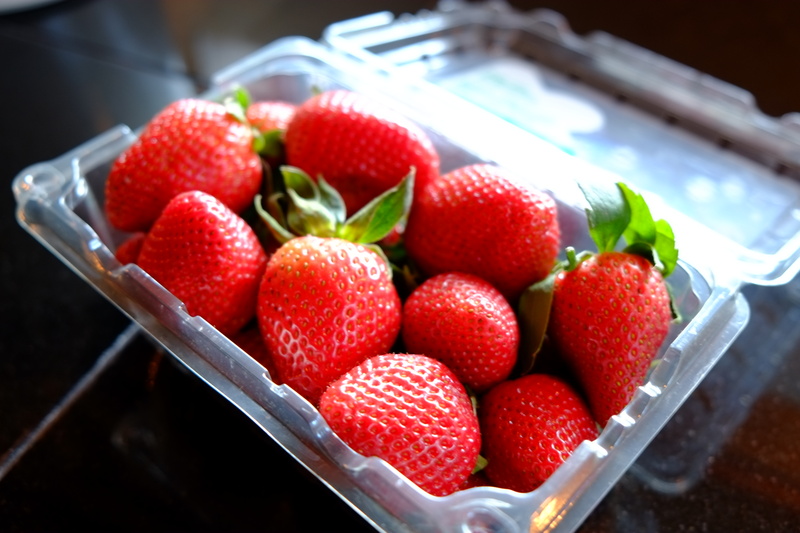 For filling: Combine strawberries with sugar, lemon juice and zest and cornstarch. Evenly distribute into prepared dish. 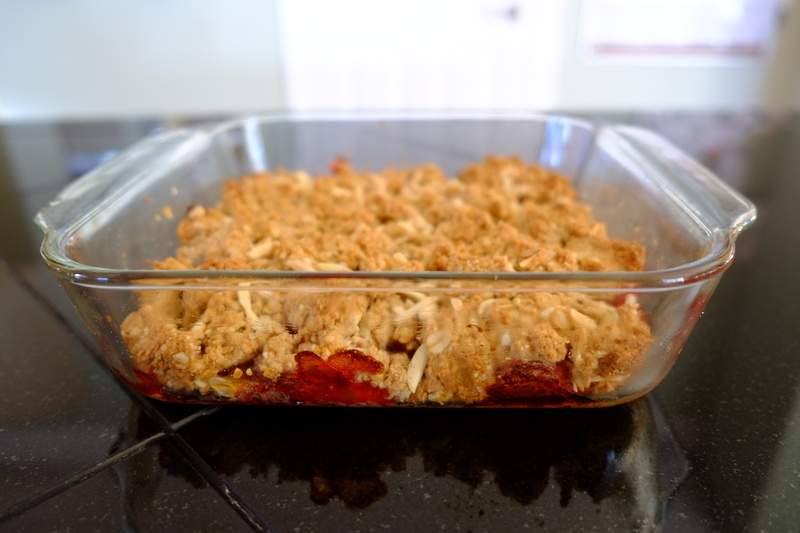 Top with large crumbles of the topping. Bake until top is golden and juices are bubbling, about 35-40 minutes. Remove from oven and let stand for 30-40 minutes before eating. Enjoy with large blop of Greek yogurt. This entry was posted in Breakfast and tagged Megan Gordon, Peanut Butter Paul, strawberry, strawberry crisp. Bookmark the permalink.